As always, after a busy summer, we tend to find September is our slowest month for fundraising. 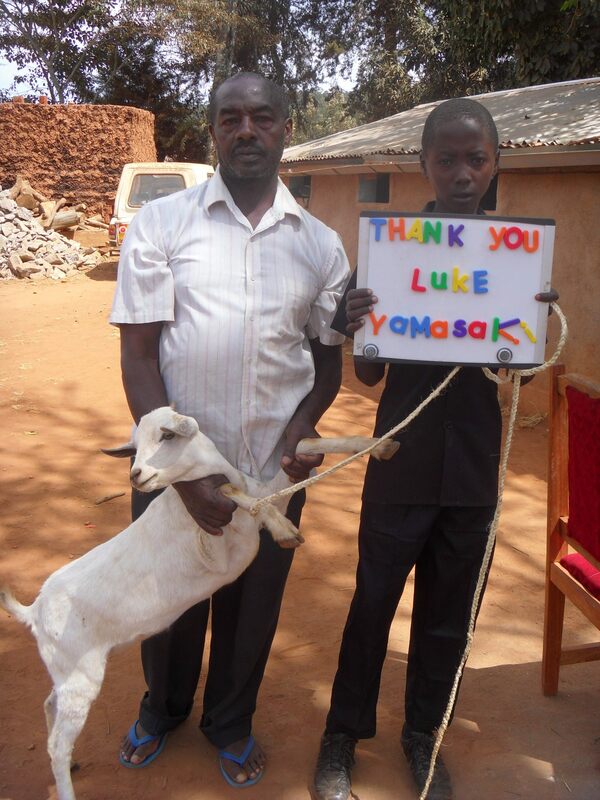 We have a number of schools from across the county that are presently raising funds but are in the preliminary stages. 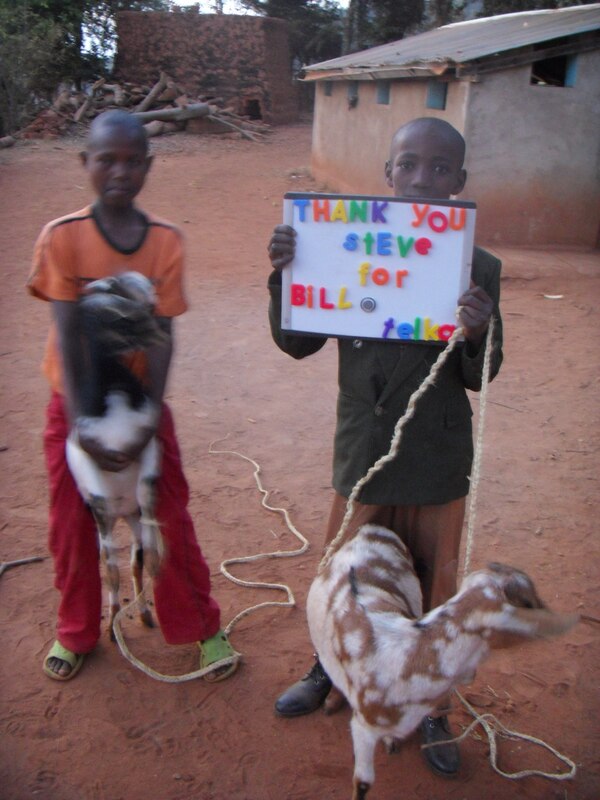 Below is a letter, pictures and a link for an article about how these two young men raised funds for The Creation of Hope. Thanks Ehren and Darby! 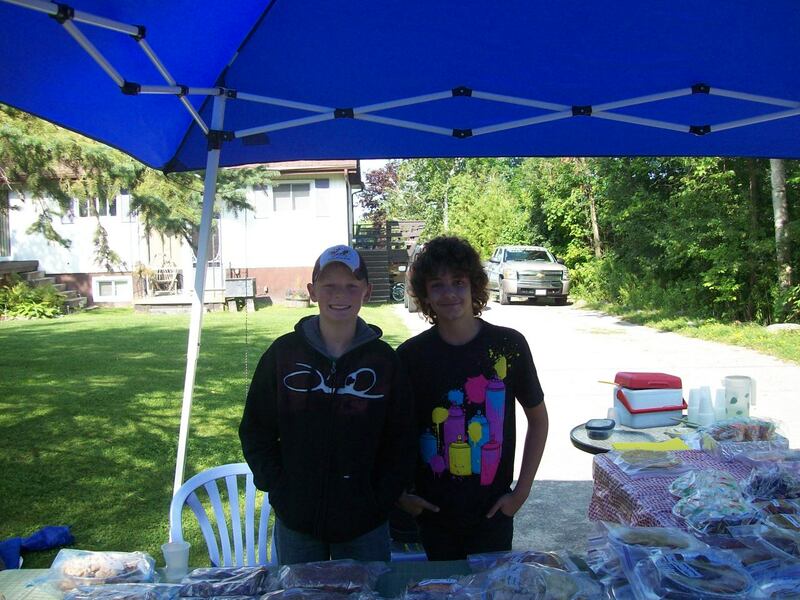 I have also attached a picture of us at the bake sale and doing the bottle drive. This past summer my daughter Julia and her close friend Megan accompanied me to Kenya. Upon their return they made a commitment to try to raise funds for eight children who will be either going to high school or returning to high school next year. While school is ‘free’ until the end of grade 8 there is a fee for high school. This amount can be as little as $120 per year (for a local school) to $550 (for a provincial school). Eight children – either in our residence or Exodus-, in our community programs including William and Benjamin, and siblings of sponsored children, were identified. It is estimated that it will cost $2500.00 for their school fees for the coming year – which begins in January. The two young ladies, with assistance from a new friend, Lisa, have launched a ‘Cans for Kenya’ campaign at Guelph University, where they attend. They are collected returnable cans and bottles. In the first two weeks of their campaign they have collected $120.00! This is the amount necessary for one child to go to a year of high school at a local school! Keep up the good work! 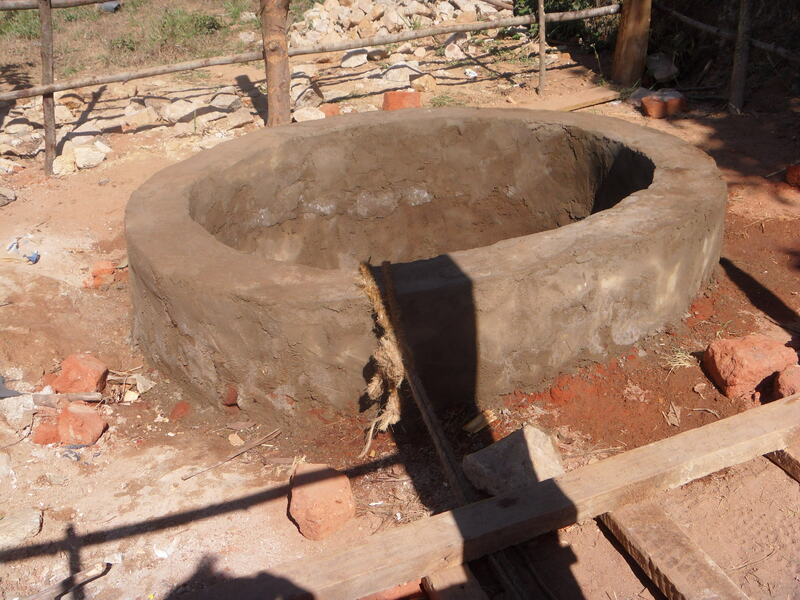 The well is now completed! It is seventy feet deep, and water is flowing readily, despite it being the dry season. We are now simply awaiting the electricity to be strung to the residence so that we can power the pump. This should happen in the next two weeks. Once this is done the children of Rolling Hills will never be without water for drinking, washing, and watering their plot of land. In addition neighboring homes will be offered water – not just benefiting them and their children, but extending the good will of the children’s residence. We want the community to see these children as a blessing and we also want our children to see how the whole community benefits from them being there. Construction continues with the expansion of the residence. 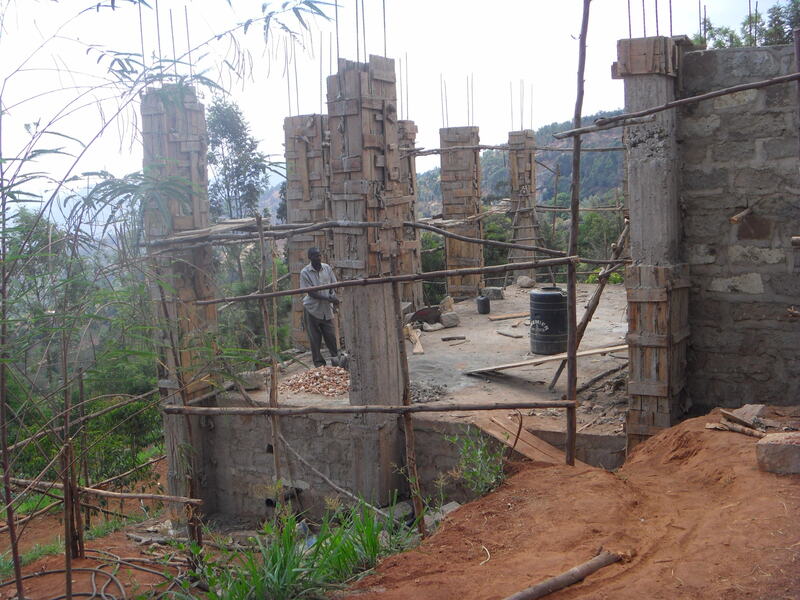 Below is a picture of one of the three levels that are being constructed. This is a major construction project which will be on three levels. All of the foundations and outer walls for all three levels are being completed and then the finishing touches added – as money allows – level by level. The first level will be the new residence for the boys an should be completed by the end of October. This addition is particularly needed at this point as we have recently admitted additional children and our residence is now home to 31 children. Originally it was built to be the home to 16 children however circumstances have necessitated the additional admissions. The last admission involved an emergency when a young boy and his two sisters were discovered basically living at the side of the road. The two sisters were admitted to Reverend Nicholas’s residence – which is only for girls – and Ruth and Henry agreed to take the brother. Of course there will be regular contact between the siblings. 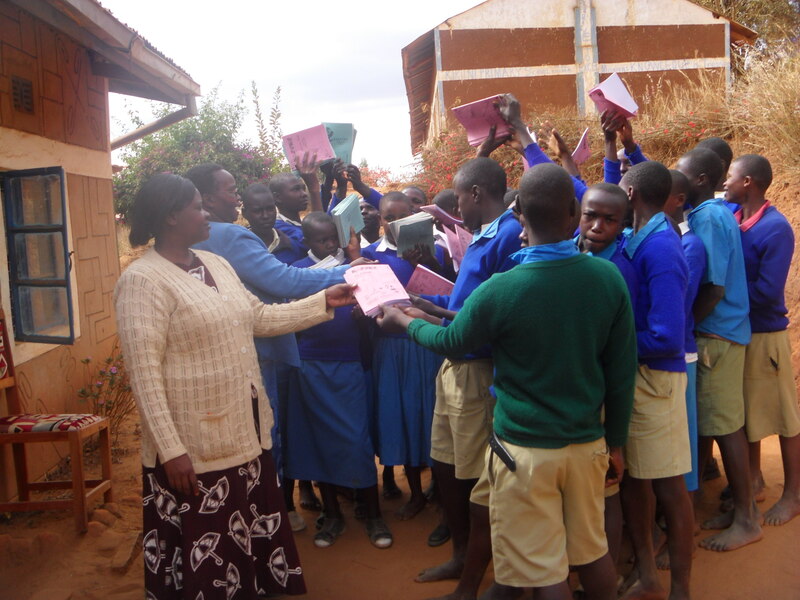 We have become more involved in the school where Muthama and his sister are students. 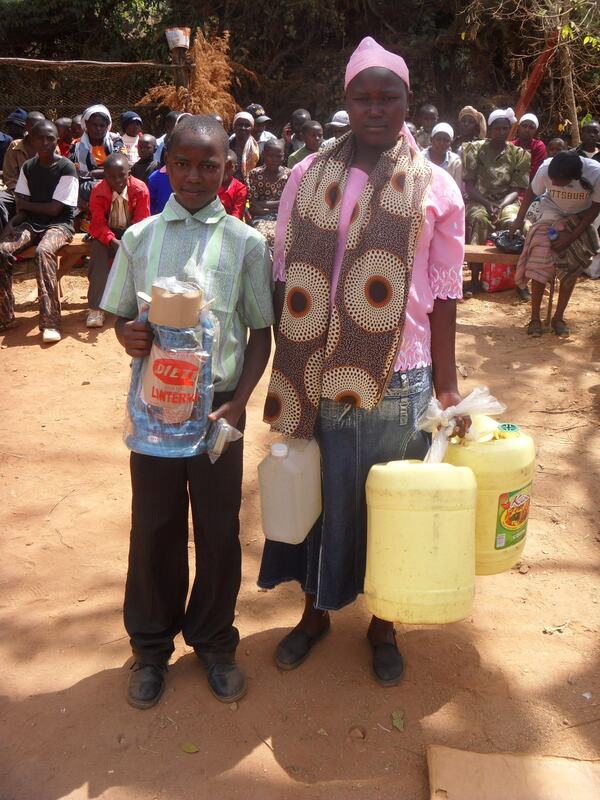 Ruth returned with more school supplies when she brought some things for Muthama. We have made a commitment to his sister that we will be providing high school tuition for her in the coming year – which begins in January. 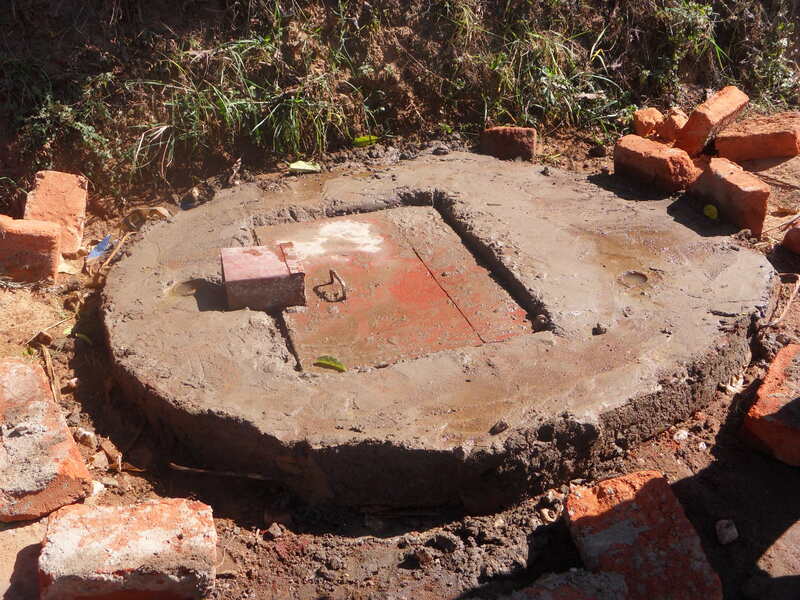 When we visited this summer Muthama mentioned that he needed a water container as his had broken. Julia donated $20.00 which went to purchase him TWO water containers, a lamp to do his work at night, kerosene, and some school supplies. The lamp and kerosene is such a wonderful thing for Muthama. Usually he is so busy caring for the crops, feeding livestock and doing household chores that he often cannot start his school work until after dark. Now he has the tools to provide light and allow him to study more often. This young man, along with his sister, are under the guardianship of their 97 year old great-grandfather. His eyesight, which was fading over the past years, is now gone. He is blind. While he is there to provide direction to his great-grandchildren they are now in the position where they are caring for him. 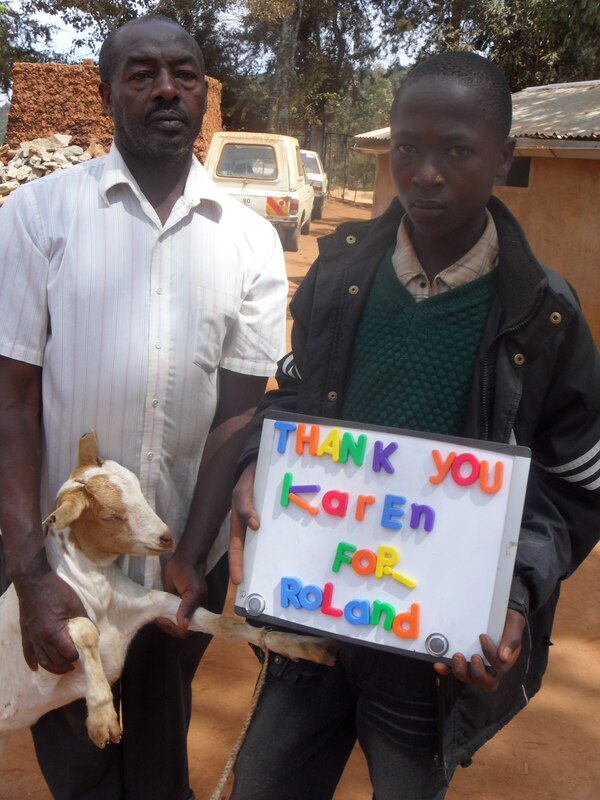 Muthama is an incredible young man who we will continue to encourage in his efforts to raise rabbits, go to school, and study. We may be there to help him, but he is a true inspiration to me and everybody who knows him.